AT&T: Τελικά μάλλον δεν θα αγοράσει Vodafone ! DALLAS, Jan. 27, 2014 /PRNewswire/ - AT&T Inc. (NYSE:T) has filed the attached statement with the UK's Panel on Takeovers and Mergers. AT&T Inc. (NYSE:T) is a premier communications holding company and one of the most honored companies in the world. Its subsidiaries and affiliates – AT&T operating companies – are the providers of AT&T services in the United States and internationally. 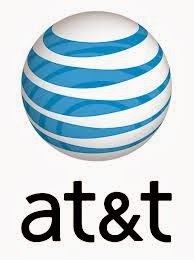 Additional information about AT&T Inc. and the products and services provided by AT&T subsidiaries and affiliates is available at http://www.att.com/aboutus.© 2014 AT&T Intellectual Property. All rights reserved. AT&T, the AT&T logo and all other marks contained herein are trademarks of AT&T Intellectual Property and/or AT&T affiliated companies. All other marks contained herein are the property of their respective owners. AT&T Inc. ("AT&T") notes the recent speculation regarding a potential transaction involving Vodafone Group plc ("Vodafone") and recent movement in the share price of Vodafone. At the request of the UK Takeover Panel, AT&T confirms that it does not intend to make an offer for Vodafone. Accordingly, AT&T is bound by the restrictions under Rule 2.8 of the UK Takeover Code (the "Code"). For the purposes of Rule 2.8 of the Code, AT&T reserves the right to announce or participate in an offer or possible offer for Vodafone and/or to take any other action which would otherwise be restricted under Rule 2.8 of the Code within 6 months after the date of this announcement in the circumstances described in note 2 to Rule 2.8 of the Code.